Approved by the Norwegian National Concert Council’s program. 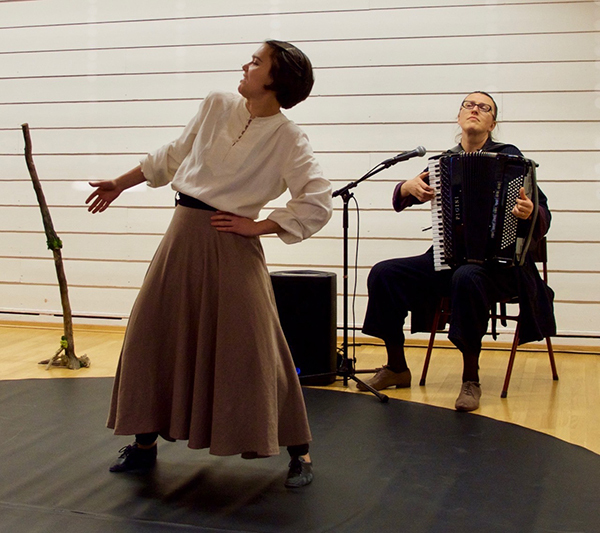 Two sisters and twelve months are a concert show based on the «Twelve Months», an Eastern European fairy-tale and Evelina Petrova’s «Years» cycle, inspired by the same story. Thea Skallevold plays all the roles. Evelina Petrova presents the pictures with her distinctive music and impressive voice usage. 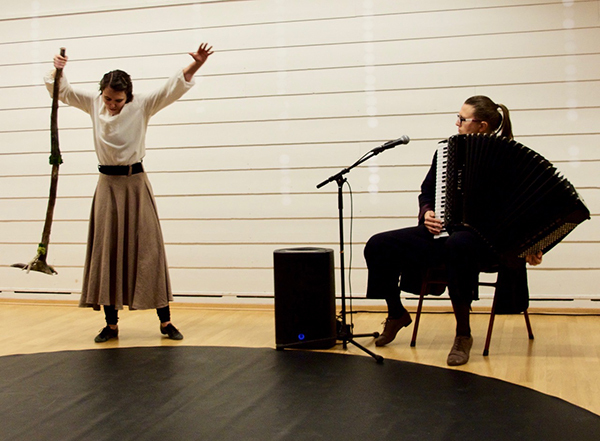 The performance is produced in collaboration with Mette Renolen and Johannes Skyberg from the Tour Organization for Hedmark. 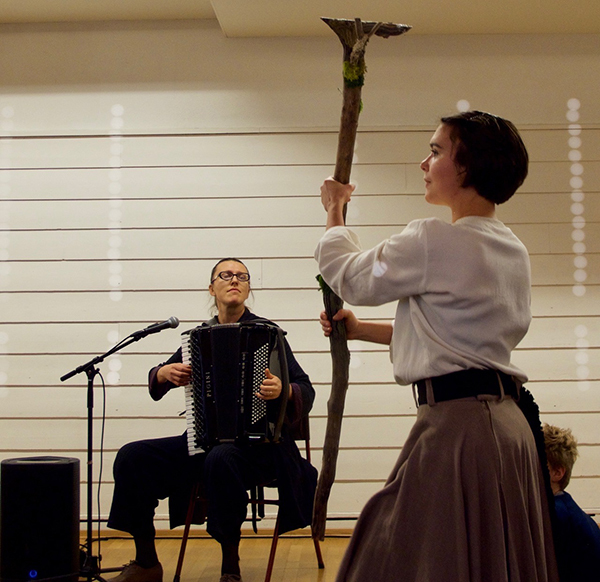 We have played the show for primary schools in the Kulturelle Skolesekken/Rikskonsertene (Norwegian program for schools) since the autumn of 2014. In the spring of 2017 we rounded 250 performances, and still we think it’s just fun to play!